The Mercure Sydney Potts Point is set above Kings Cross Station, and offers arguably the best views of Sydney and the Harbour. Located in the heart of vibrant Potts Point, the hotel is surrounded by more than 250 restaurants, cafes and bars all within walking distance. Upgraded in 2011, the hotel now boasts a contemporary and funky feel with modern furniture and fittings; facilities include a restaurant and lounge bar, 5 meeting rooms and large outdoor Terrace overlooking the streetscape. The hotels Standard and Superior rooms have all been upgraded, and now have a fresher and more modern feel; but it's the hotel's Superior Habourview rooms that offer those sweeping views of Sydney. Mercure Sydney Potts Point positioned close to anywhere you could possibly want to be in the heart of Sydney; be it the CBD, Circular Quay, Bondi, Sydney Cricket Ground, or St Vincent's Hospital a perfect location. 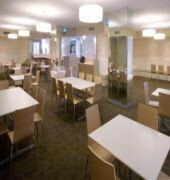 The MERCURE SYDNEY POTTS POINT is a Tourist hotel. 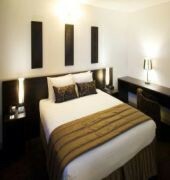 Located in Potts Point area. Shopping is accessible by bus/taxi and the nightlife/restaurants are located in the hotel. Descriptionclass="small" style="text-align: justify; font-size:11px;">The Mercure Sydney Potts Point is set above Kings Cross Station, and offers arguably the best views of Sydney and the Harbour. Located in the heart of vibrant Potts Point, the hotel is surrounded by more than 250 restaurants, cafes and bars all within walking distance. 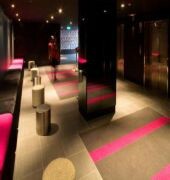 Upgraded in 2011, the hotel now boasts a contemporary and funky feel with modern furniture and fittings; facilities include a restaurant and lounge bar, 5 meeting rooms and large outdoor Terrace overlooking the streetscape. The hotels Standard and Superior rooms have all been upgraded, and now have a fresher and more modern feel; but it's the hotel's Superior Habourview rooms that offer those sweeping views of Sydney. 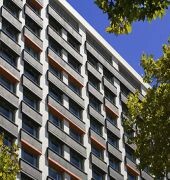 Mercure Sydney Potts Point positioned close to anywhere you could possibly want to be in the heart of Sydney; be it the CBD, Circular Quay, Bondi, Sydney Cricket Ground, or St Vincent's Hospital a perfect location.